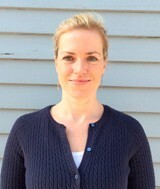 New England Science & Sailing (NESS) in Stonington, CT welcomes Maeve Ryan of Middletown, CT, as their new Director of Marketing and Major Gifts Officer. Ryan is the former director of marketing at Suffield Academy in Suffield, CT, and previously worked as a marketing manager for Mount Holyoke College and as an instructional developer for the University of Connecticut. Ryan has over 16 years of experience in the field of education. She received her B.A. from Bates College, M.A. from Middlebury College, and Ed.M. from Harvard University. She anticipates utilizing her knowledge of Spanish, educational technology, and marketing at NESS, an ocean adventure non-profit foundation currently serving communities in southern New England. “We are very excited to have Maeve join our team,” said NESS President Spike Lobdell. “She brings a breadth of skills and experience with an understanding of education that is well suited to help move NESS forward.” For more information, visit nessf.org.